Documentary Screening: Pink Ribbons Inc. 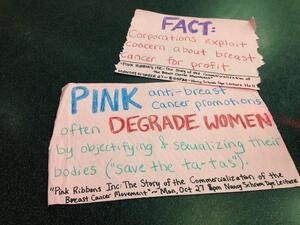 Screening and discussion of the Breast Cancer Action documentary Pink Ribbons Inc. This documentary takes a critical view of the commercialization of breast cancer and tells the story of where the pink ribbon began and what it has become.